In an effort to continue leading the International Triathlon Union (ITU) with strong governance practices, the ITU Executive Board this weekend voted on several important decisions for the future of the sport. 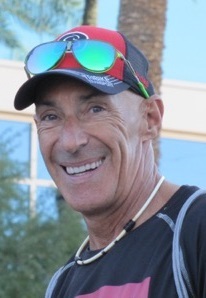 First amongst those was electing USA Triathlon’s Board of Directors President Barry Siff to serve as a pro tem elected ITU Board Member. Siff will fill the position until the ITU 2015 Congress when all voting member National Federations will have the opportunity to submit a candidate for election. All 15 Executive Board seats will be up for re-election at Congress in 2016, with the four-year term lengths in line with the summer Olympic quadrennial. Following recommendations from its Constitution Committee, the Executive Board also voted to introduce a new disciplinary panel that will be formed independently of ITU. The disciplinary panel will be responsible for reviewing various sanctions and violations, which were previously done by the ITU Executive Board. “In an effort to remain fair and balanced, the Board felt it best served all parties to have an independent commission that is free of bias to rule on violations and sanctions,” Casado said. In one of its most important efforts to ensure triathlon practices the highest standard of fair play, the Board voted to implement new Anti-Doping Rules, which coincides with the WADA Code. Most notably amongst the changes will be longer bans and an extended time frame for failing failures and/or missed tests. All member Continental Confederations and National Federations will be required to adhere to the new code starting 1 January, 2015.